The UN-initiated Libyan National Forum today launched a nation-wide public consultation programme to visit over 20 locations over the next few months with the aim of moving Libya’s political process forward and holding elections by the end of 2018 (Photo: Manshetnews.com). 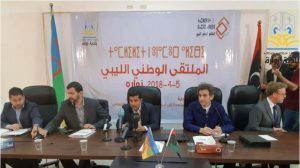 The Libya National Forum, a nation-wide public consultation programme was launched today in Benghazi and the mainly Amazigh-populated town of Zuwara in western Libya. The public consultation programme is a UN initiative, part of UN SGSR and UNSMIL head Ghassan Salame’s Action Plan for Libya. The plan approved by the UN Security Council in October 2017, aims to reconcile the polarized Libyan political factions under the Libyan Political Agreement (LPA) to agree on a constitution, hold elections and exit the country from its current weak transitional state. In theory, both sides of Libya’s political divide had accepted the Action Plan and formed joint committees to amend the current Transitional Constitution and the amend the Presidency Council and its Government of National Accord. However, in reality they have been unable to come to any agreement. Salame expressed his frustration with the deadlock reached by Libya’s political elite in his latest report to the UN Security Council in March. He complained that Libya’s economic system was based on predation and that it was the main obstacle to the political process as it encouraged the status quo. He said that all of Libya’s present institutions are based on shallow legitimacy which in his view necessitates elections for a renewed mandate. Specifically, on his 2017 Action Plan and attempts to amend the stalled Libyan Political Agreement signed in Morocco, Salame admitted that there was little chance of it progressing. He revealed that he would commence one last push in an attempt to move it forward. However, indicating that he almost given up on convincing Libya’s polarised political elite to reach consensus, he added that the amendment of the Libyan Political Agreement (LPA) will become less important with the nearing of elections. He revealed that a National Conference (Forum) will meet after the end of the fasting month of Ramadan (mid-June). 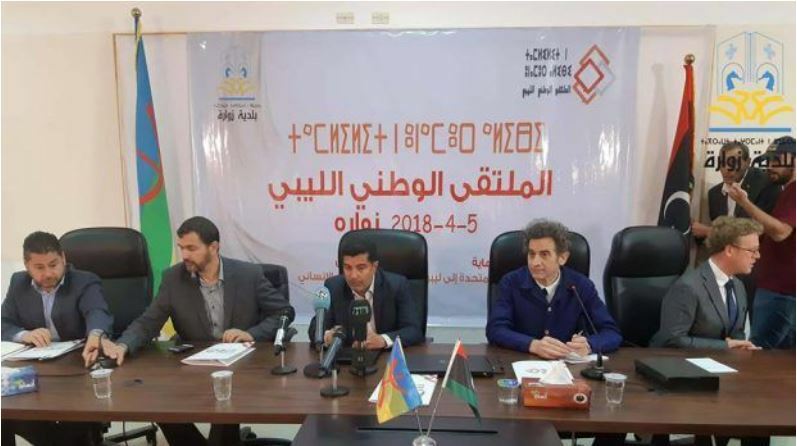 It is this National Forum that Salame had referred to in his March UN Security Council report that the UN has launched in Benghazi and Zuwara today. It seems that Salame has either given up on Libya’s political elite (the Tobruk-based House of Representatives and the Tripoli-based High State Council) in reaching a consensus and wants to appeal above their heads directly to the Libyan public. What he has referred to as a ‘‘bottom up’’ process. Similarly, he could be hoping to use the mobilization of public opinion to pressure the political elite – who he regards to have ‘‘shallow legitimacy’’ – into reaching consensus and exiting the current transitional stage. The public consultation meetings are expected to be held across 20 to 25 nation-wide locations over the coming months which will culminate in a national forum or conference that would make specific recommendations on the political future of Libya. Ultimately, Salame wishes to hold election by the end of 2018. The UN-initiated public consultation process will be organized by the Geneva-based Centre for Humanitarian Dialogue.